I've just been reading through my Feministing RSS feeds, and came across the laugh of the week, for sure. 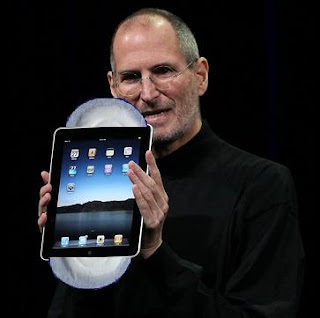 Apparently Apple computers has named it's new tablet thingy - iPad. Feministing asked "Where are the women on Apple's branding team?" Indeed. Nice for sexism to get its own back for a change, I say. This is brilliant - has made me smile to-day!